The Ogden River was a mess. For years had been abused, misused and trashed. The river corridor itself was beautiful – winding its way down scenic Ogden Canyon and through town. But the river was on a collision course to suffer the same ignominy as Lake Erie had years before (the lake was so polluted that it actually caught on fire!) Fortunately, that never happened to the river. Ogden City visionaries saw to that when they conceived a highly optimistic and aggressive plan to reverse years of neglect and to restore and clean up the river. Supported by $6 million from a consortium of several public and private sources, two years later the project was an overwhelming success. Ogden City wrapped up the last construction element of the Ogden River Restoration project by finishing the pavement on the Ogden River Parkway Trail. As part of the project, city crews removed nearly 13,000 tons of concrete, glass, rusted shopping carts, auto parts, almost 2,500 tires, seven full cars and other trash from the river. A ton of hard work by a bunch of dedicated Ogdenites to undo the damage paid off. But just what was that payoff? 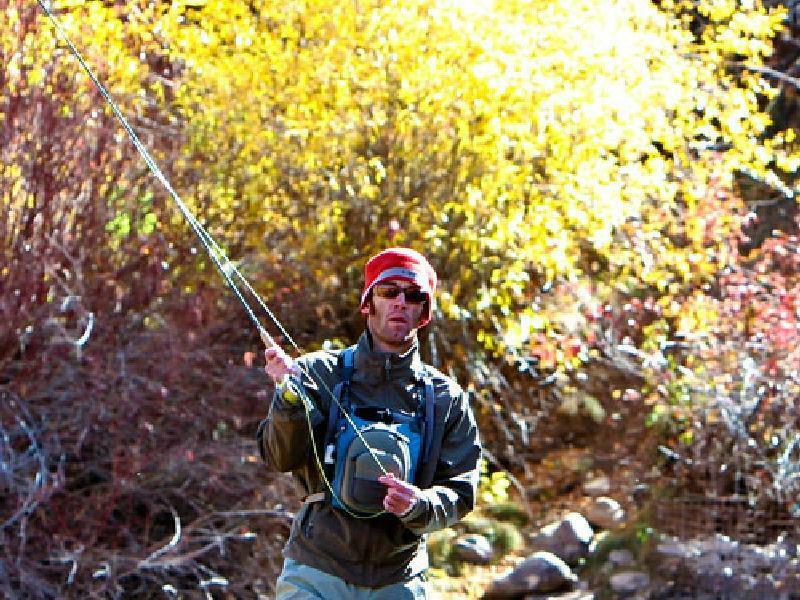 Last year, the Utah Blue Ribbon Fisheries Advisory Council voted to designate a newly restored section of the Ogden River as a "Blue Ribbon Fishery." With that vote, the 1.1-mile restored section of the river—located downstream from Washington Boulevard—is the 46th body of water in Utah to be recognized, protected and appreciated for its unique recreational qualities. To be designated as a "Blue Ribbon Fishery," a river, stream or lake must provide high quality fishing, a quality outdoor experience, contain high quality fish habitat and provide an economic benefit to the community. This coveted honor recognizes intensive efforts by Ogden City, the Division of Wildlife Resources and a long list of project partners to enhance and improve the Ogden River. The Utah Blue Ribbon Fisheries Program was established in 2005 by former Gov. Jon Huntsman Jr. The Blue Ribbon Fisheries Advisory Council, a broad-based citizen advisory group, oversees the program. Funds for the Blue Ribbon program come from the purchase of fishing licenses. Mayor Mike Caldwell, an outdoor enthusiast himself, said a Blue Ribbon designation fits in with the city's broader goal of turning Ogden into an outdoor-recreation haven. Today, Ogden citizens and visitors to this vibrant northern Utah city can enjoy all the benefits of a beautiful, clean, free flowing river. The paved Ogden River Parkway Trail is a spectacular 9.6 mile walk, jog or bike ride through nature in the heart of downtown Ogden. The trail begins near Rainbow Gardens at the mouth of Ogden Canyon, and ends at the south end of Fort Buenaventura just west of 24th street. Construction of the trail began in 1992, and surrounding cities aspire to interconnect the Ogden River Parkway with their trail systems to create a 28.2 mile intercity loop beginning and ending at Rainbow Gardens. 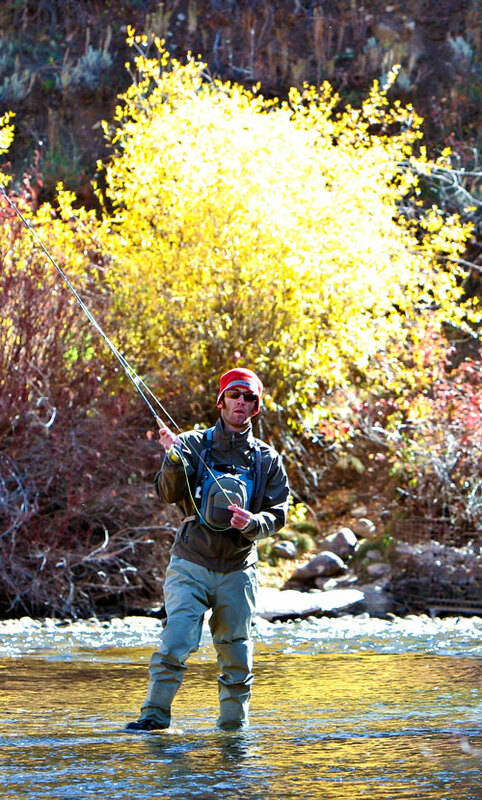 Anglers can also enjoy the Ogden River Parkway. 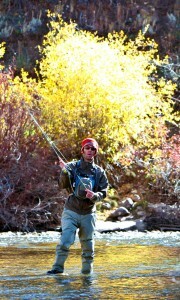 Fishing is allowed along the parkway in both the Weber and Ogden rivers. When the trail was built, structures were constructed into the river to encourage a growing population of fish. The river is filled with a variety of trout as well as smallmouth bass. Along the way the Parkway passes a number of Ogden's most significant venues – Big Dee Sports Park, El Monte Golf Course, Pioneer Stadium, a kayak park, the King Fisher Aviary, and several Ogden City parks before its termination at historic Fort Buenaventura, a Utah State Park. Arguably the most fascinating attraction on the Ogden River Parkway and less than a mile from the trail's beginning is the George S. Eccles Dinosaur Park. Unless you're in a real hurry (and there's no reason to be!) the Park is a must stop-and-see, with its eight acres filled with more than 100 life-sized dinosaur sculptures, museums, fossils, natural history exhibits and educational center with hands-on activities.